It’s almost time, fellow monsters. The clock is ticking. 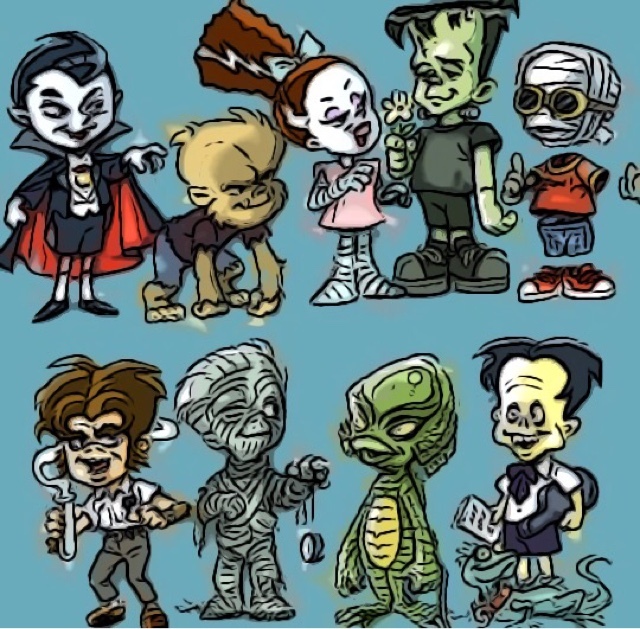 Kids will be in front of their TV sets for the Horrorthon, and they'll remain there for the Big Giveaway at 9. Don’t miss it. 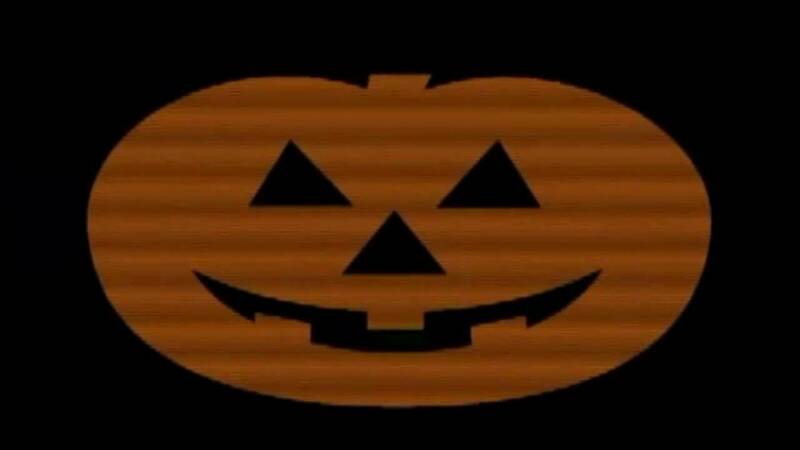 Our TV commercials HERE with the flashing jack-o'-lanterns have reminded kids to wear their masks. Be prepared to scare. The clock is ticking. It’s almost time. It's been a great Halloween season. Let's end it with a bang! 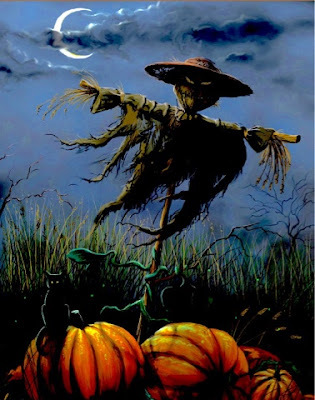 HAPPY HALLOWEEN, from Jack-o'-Lantern Press. 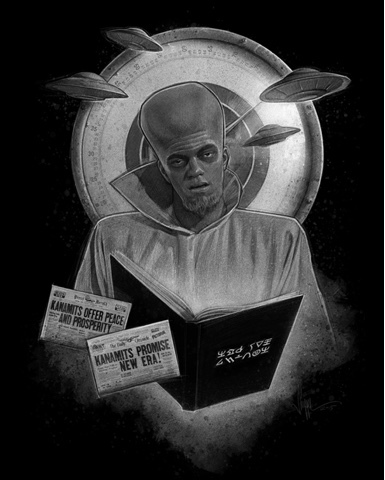 Martians are upset that their attack on Oct. 30, 1938, has been depicted as “weak” in paintings, books, movies and other popular culture. The inhabitants of Mars are growing tired of the light treatment their attack has been given and they’re planning a new, much bigger, much wickeder attack this evening that will make 1938’s invasion look like Sesame Street. 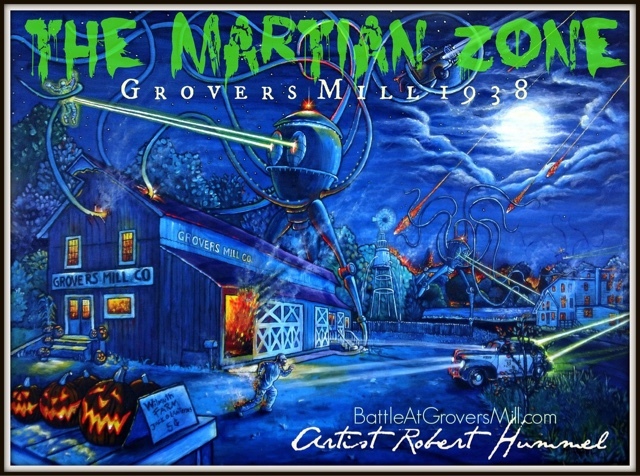 Still, when the Martians attacked Earth in 1938, it was way more epic, they said. 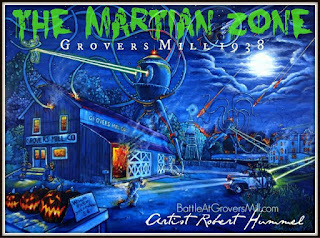 Zirk said tonight the Martians are coming back to Earth with a vengeance. And Matt Damon won’t be there. Zirk took back his invitation when we asked how anyone from Earth could go if they’re all defeated from tonight’s attack. Radio reports of the 1938 invasion can be heard right HERE. 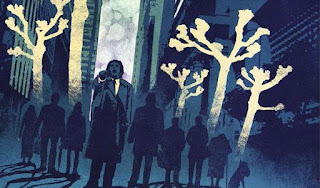 After taking a listen, be sure to get underground or go somewhere safe. The Martians are coming! 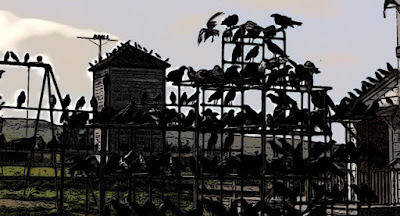 Birds are already coming together to prepare for their big Halloween attack this year. Early this morning, a large group of winged predators met at a school playground in Bodega Bay, CA, to chirp about how they plan to gather in heavy trick-or-treat areas and simply watch kids to add to the intimidation factor. Sources said the attacks should come later in the evening in swift dives from high altitudes. Dr. Jekyll has just finished a new and improved potion in time for you to try on Halloween. The formula, Dr. Jekyll's Death Potion No. 17, is longer lasting than previous potions and gives those who consume it a much bigger boost of rage and insanity. Monsters are already saying No. 17 contains the right ingredients in the right proportion to deliver the big bad, nasty "Mr. Hyde" demeanor that only a potion from Dr. Jekyll's lab can deliver. Some of the amazing side effects of No. 17 include elevated heart rates, hypertension, anxiety, headaches and interrupted sleep patterns. A recent study by Transyl-vein-ia University suggest even more exciting outcomes, such as severe heart palpitations, strokes and, for an added bonus, permanent insanity. Dr. Jekyll’s Death Potion No. 17 is now available on the quack market. Ghoul schools aren’t what they used to be. According to a recent report, scare test scores are at an all-time low and more and more of our monster institutions are being taken over by charters. The ghoul schools in South Transyl-vein-ia are a big concern, with several in the bottom 5 percent of the world. Three charter school operators will take over the worst of the sites. Dracula told reporters that he’s in favor of the charter takeover in South Transyl-vein-ia so that the number of disturbances can start to rise again, but he doesn’t want the growing charter trend to continue. Sources said this year’s Halloween should still be pretty scary. But trick-or-treat warriors are becoming more and more brave. It won’t be long before the monster status quo is a no-go. The Creeper, from “Jeepers Creepers” and “Jeepers Creepers 2,” has been trying to get a third movie made for years. In the meantime, he’s been doing anything he can for cash. He sang Sinatra tunes at a nightclub in Las Vegas for a couple years, and he even did an unauthorized musical stage production of “Jeepers Creepers” before the filmmakers sued him. He figured the publicity would be good for him. It wasn’t. About a year ago, the Creeper bought a microbrewery in the Transyl-vein-ia Mountains and created an award-winning pilsner called “The Creeper’s Own.” It’s a bestseller. Until he can get another film going, however, fans will have to be happy with just two installments. 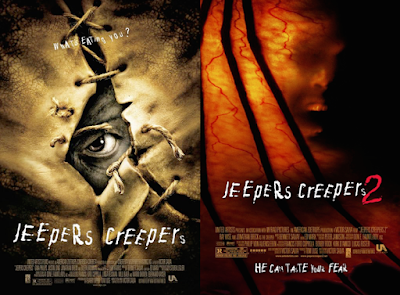 So which do you pick, “Jeepers 1” or “Jeepers 2”? 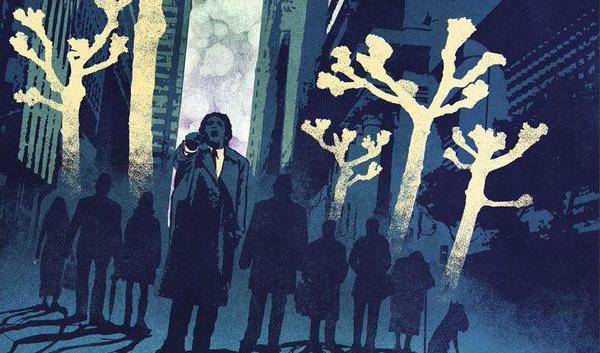 Got a little film buff on your hands? We thought so. 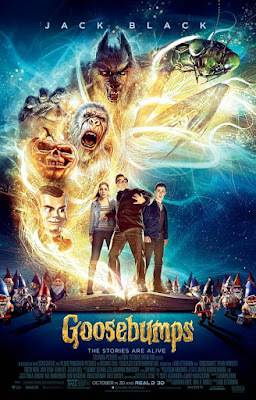 Thankfully, there are plenty of fun films for the kids and the rest of the family airing this Halloween season on AMC. 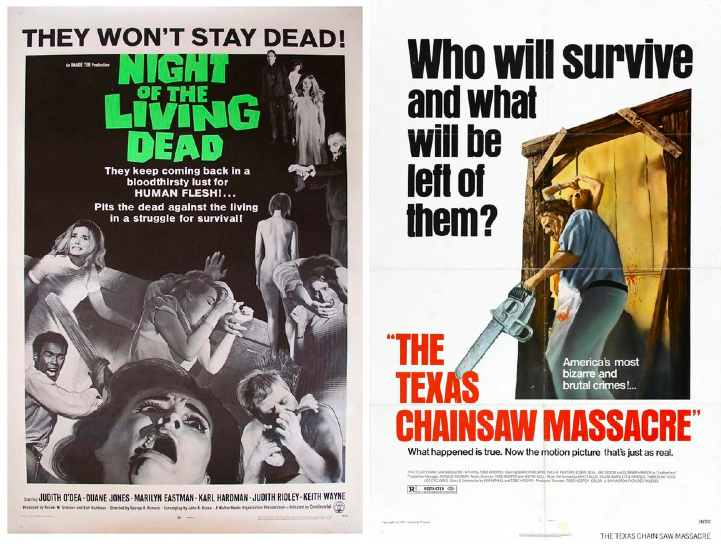 In addition to episodes of “The Walking Dead,” AMC will also deliver more family fun this week leading up to All Hallows’ Eve with some “Friday the 13th” movies, “The Last House on the Left,” “Halloween” (parts I, II, III, IV, V and VI) and more. The whole family will be singing and swinging, and having a bloody good time. 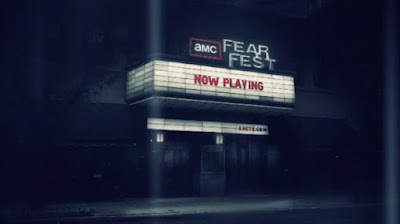 Click HERE for the lineup of films. The children of the world aren’t the only ones excited about All Hallows’ Eve. Giant spiders are looking forward to Halloween treats, too. 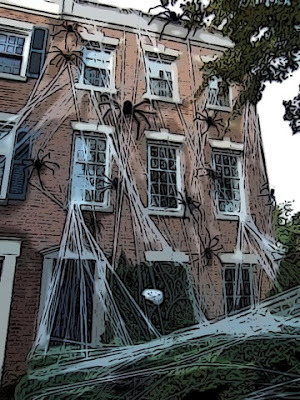 They put up massive amounts of web on buildings and homes everywhere with hopes of catching little kids in costumes, otherwise known as fun size snacks. 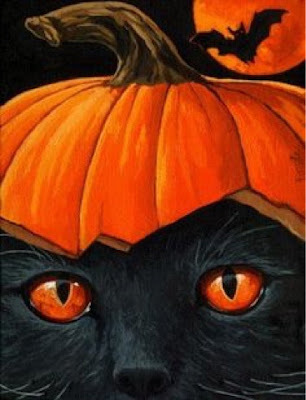 Transyl-vein-ia’s top black cats and vampire bats will vie for a chance to bring humans bad luck on Halloween night during the annual Black Cats and Vampire Bats Show tomorrow night at the Transyl-vein-ia Convention Center. Over 300,000 creatures of the night are registered to compete. Likedonkeykong told reporters that judges will choose one cat and one bat from the bunch with the Best In Show honor, and those two winners will then lead their respective winning brothers and sister in what they call "Operation Cross Paths and Buzz Heads." Animal trainers, witches, scientists and witch doctors are literally working their “magic” on their pests so theirs are the ones to represent the world on Oct. 31. The show begins at 9 p.m. Tickets are still available at SqueakNMeow.mon. The wicked witch who usually flies by the moon on Halloween night says she’s not doing it this year. Some say All Hallows’ Eve won’t be the same without the flyby. The wicked witch told reporters she’d gladly give Goblin the power. The wicked witch added that she’s also becoming more and more afraid of heights as she gets older. Other witches have begged to take over the role, but the Transyl-vein-ia Witches Commission has been slow to process applications. 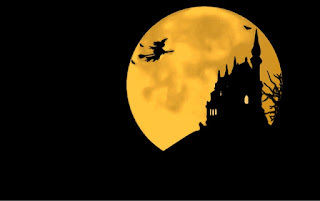 They’re hoping to have a new witch for the flyby in time for the big night. Pumpkin patches everywhere are drawing large crowds, and people are getting excited to bring their gourds to life. Other large orange fruit are not so thrilled. Some ghouls are offering to pick up jack-o’-lanterns to take them back into the monster realm before their candles are blown out at the end of Halloween night. -Never blow out a jack-o’-lantern before the night is over. To make reservations for your ride back into the monster realm, jack-o’-lanterns should go to ThisPumpkinNotGoinOutLikeDat.mon. Johnny “Stoker” Dixon, a mutant, was put into the boxing ring this evening at the Shadow City Boxing Ring to see what he could do. He literally ripped his opponent, Tiger Nelson, into bloody body parts. First Stoker pulled off Tiger’s right arm. 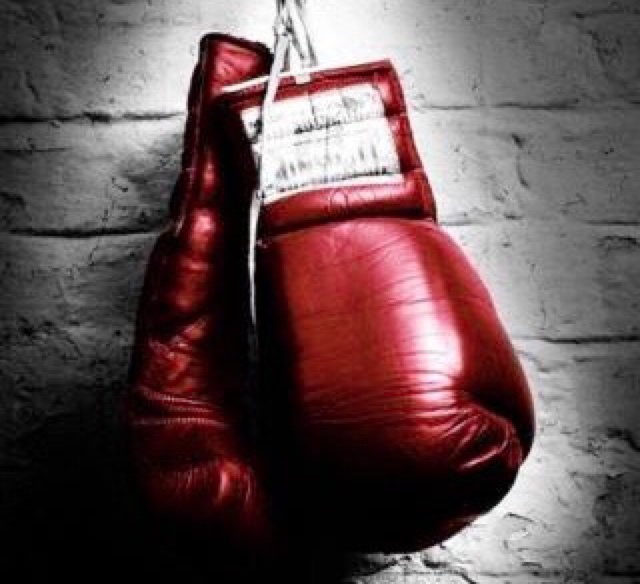 Then he gave him a left hook and knocked his nose right off his face. 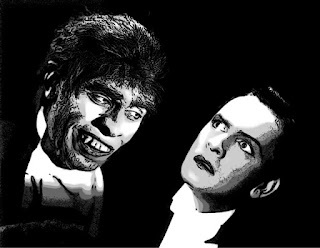 Dr. Frankenstein from up the hill said he wanted to piece Tiger back together for a re-match against Stoker next week. To complicate the story further, sources said Little Boy Tiny Thompson put money on the fight against Stoker and added that he’d actually paid Stoker to throw the fight. In the back alley after all was said and done, Tiny and his degenerates cornered the mutant and tried to rough him up for turning on the bet, but Stoker ripped them all limb from limb. The Shadow City Fighting Commission was not too happy with Stoker’s behavior. The commission later fined Stoker $100 for his actions. Stoker turned the commission into a bloody mess before they could collect his money and before they could take action against Jack-o’-Lantern Press for printing a statement off the record. Here are two family favorites. 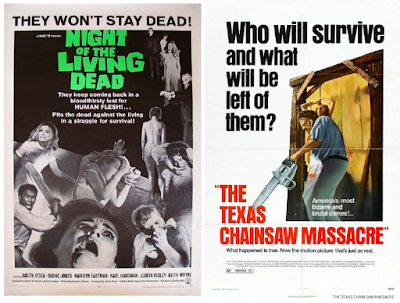 Arts, crafts, blood and guts -- these two fun-filled romps all about laughs and games. Of the two, which do you pick? 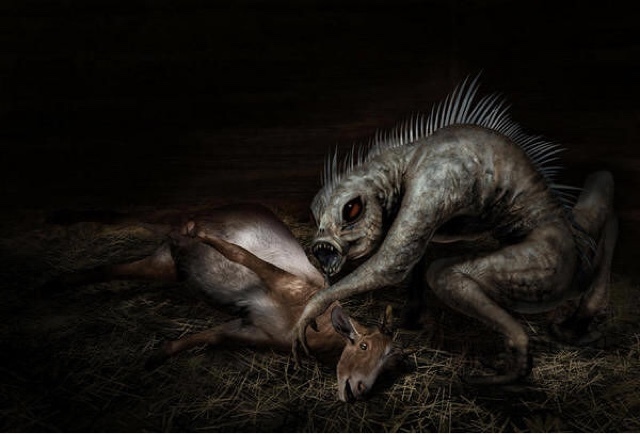 Monster agencies are warning monsters -- and especially zombies -- to lock their crypts. A zombie killer, known as the Lawnmower Man, is on the loose and cutting up our kind with no regard. Battles have been extremely gory, so there is a level of fun to it all, but we’re losing a lot of monsters here, folks. Experts advise that you either wipe the guy out or take a break before we run out of monsters for Halloween. More and more beings, according to Kibner, are falling asleep and becoming pod people. Kibner’s talk begins at midnight tomorrow in a big warehouse called Pod Central near the Embarcadero. Non-pod people need only to stop by. The event is free of charge. The speech, Kibner added, isn’t just for the non-pod people. It’s quite informative for the newlypods as well. For more information, go to InPodWeTrust.mon. 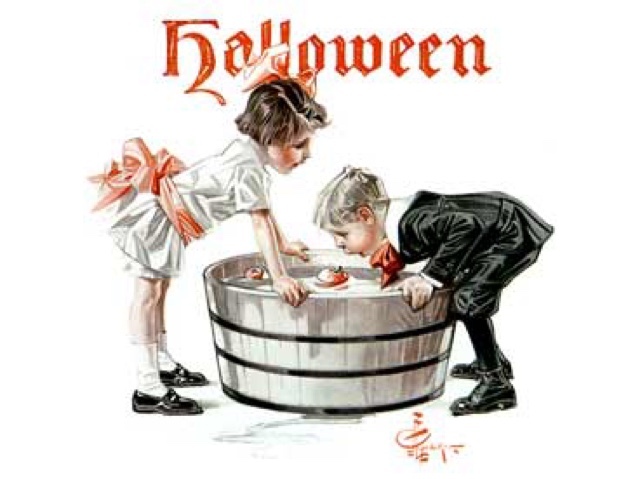 Halloween is a good time to play bobbing for tricksters. Creatures hiding underwater in bobbing-for-apples buckets are excited to participate in this year’s games. OK, I get that these two humans are writing the checks, but did they have to take all the credit? 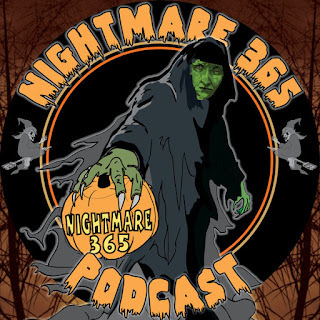 Jack-o’-Lantern Press founders Michael Picarella and Tom Picarella were recent guests on Matt Douglas’s “Nightmare 365” podcast at Nightmare365.com, and they basically said they run Jack-o’-Lantern Press. No mention of all my work as ‘head’ writer and editor of the online monster publication, and no mention of the amazing editorial staff we have here turning out the second-greatest news and entertainment coverage in Transyl-vein-ia, only slightly behind those hacks with bloated paychecks at Transyl-vein-ia Times (that’s another gripe for another time). We monsters would like a little credit. The Picarella brothers seem to think it’s all a joke. The only jokers are those two. Just listen to them talk. They’re true Halloween geeks. We kinda admire that about them, though. Nevertheless, we’ll take what we can get. Check out the interview by clicking on the link below . . . In honor of Italian-American Heritage Month and the major contributions Italian-Americans have made to world culture in many fields, from science to entertainment, art to automotive design, we’re matching up a couple tomatoes here. Tasteful, huh? 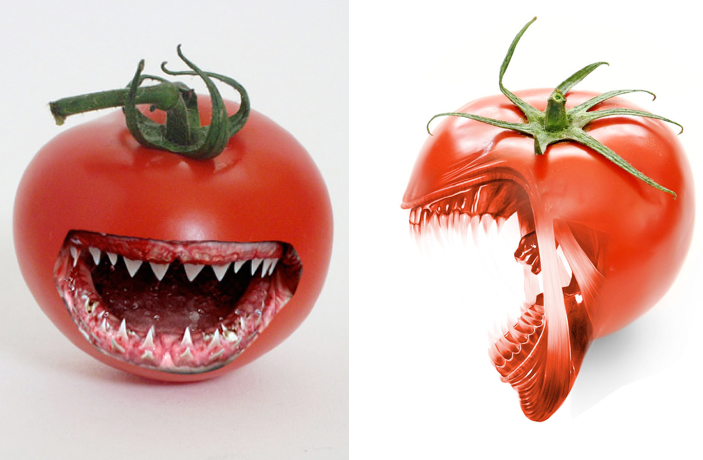 These two contenders come from "Attack of the Killer Tomatoes," the feel-good docu-drama (feel good until the end) that, to this day, still keeps us on our toma-toes. Tommy Teeth and Jimmy Jaws will no doubt make a mean marinara out of each other, but who will be left rolling? Which do you pick? In June, the Transyl-vein-ia Grille brought on a new executive chef to boost business. A Kanamit by birth, Chef Aidman Kynd closed down the dive joint shortly upon his hiring and has been converting it into what he believes will be a more “exclusive” restaurant. He has some new ideas for the menu and will begin serving man when the Grille reopens tomorrow evening. Call 1-666-ToServeMan to make reservations. 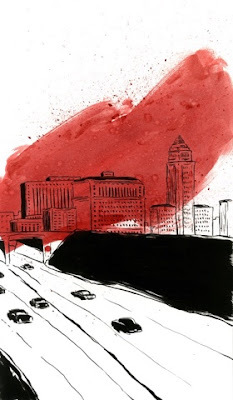 In his short story, "Red Wind," author Raymond Chandler wrote, "There was a desert wind blowing that night. It was one of those hot dry Santa Anas that come down through the mountain passes and curl your hair and make your nerves jump and your skin itch. On nights like that every booze party ends in a fight." Especially hot, dry and dusty Santa Ana winds in Southern California, otherwise known as “the red wind,” are widely believed to affect people’s moods and behavior negatively. The winds carry Coccidioides immitis and Coccidioides posadasii spores into nonendemic areas, a pathogenic fungus that causes Coccidioidomycosis, otherwise known as “Valley Fever.” But that’s just science or something like that. The red wind is really ghosts. And the ghosts are happy with their recent work in Southern California. Bigfoot has about had it. 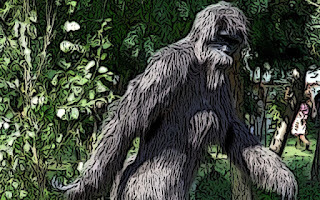 For years there’s been an unspoken rule about keeping pets on leashes in Bigfoot National Park, and for years it’s been getting worse. 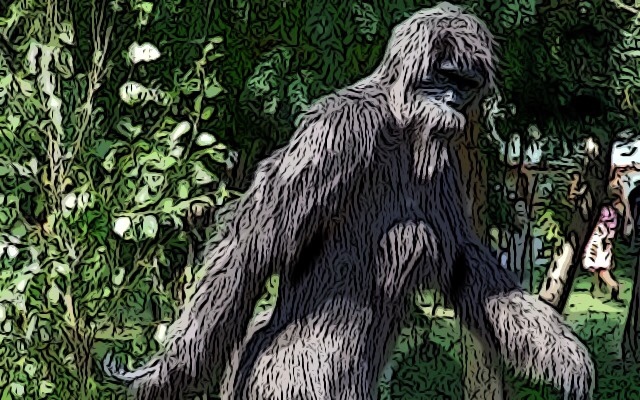 The sasquatch for whom the park is named is tired of guests not having control of their animals. New signs warn park visitors that it’s the law to keep pets on a leash. According to Bigfoot, however, the signs aren’t doing diddly-squat -- pet owners are still disobeying the law. The problem is worse than that. Bigfoot went to the top animal agency in the area to request more signage and real enforcement. Days went by and pet owners continued to roam the park with pets off their leashes. And, according to Bigfoot, nothing was being done about it. It’s been a couple weeks since Bigfoot began treating these unleashed animals like hors d’oeuvres. Those with animals are now aware of the danger and are not only keeping their pets on leashes, but they’re keeping them out of the park. 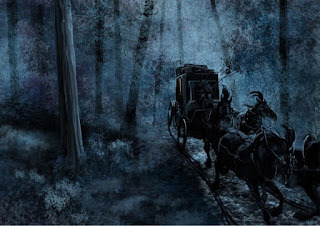 A spooky carriage ride through the Carpathian Mountains to Castle Dracula last night went horrible wrong when the back wheels of the coach slid off the side of the eerily narrow pathway that crosses a large gorge in the mountains and tumbled down a hillside. Search and rescue teams lit up the area with floodlights while ground crews and helicopters tried to locate the passengers of the downed carriage. News media satellite up-link trucks and photojournalists gathered outside the front gates of Castle Dracula to cover the scene. The creatures of the night fled as the media took over the area. Dracula’s brides, however, came out from hiding to see what was going on. Crews found the passengers around 3 a.m. this morning. The media circus finally left the site around 7 this morning. What remains in front of Castle Dracula are coffee cups strewn about, half-empty water bottles and other litter from craft service.